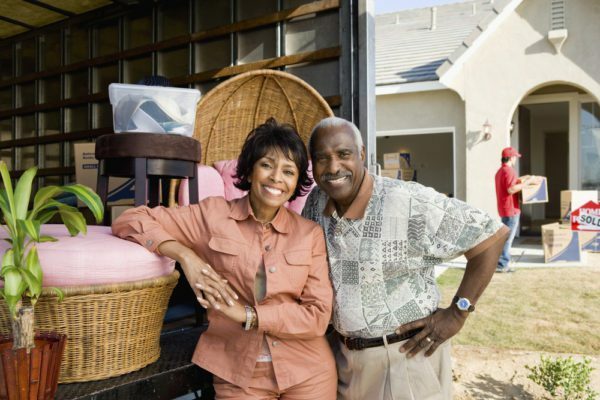 If you’ve reached retirement age, or are approaching it, you may be looking out for a new home to suit your changing wants and needs. With your sunset years ahead, it’s wise to consider the problems that age can bring and the facilities they require. On the other hand, retirement is for enjoying your hard-earned free time and fulfilling long-held dreams, so you’ll want the scope for a flexible lifestyle. It’s got to feel right, too, or it won’t be worth the move. Look out for these six features below to find your ideal property. You may be very fit and active at the moment, but there’s no knowing how mobile you’ll be in the later years’ time, so it makes sense to choose a property with ground-level access and minimal stairs and steps inside, just in case of future problems. Wide doorways will also be a bonus if you ever need a wheelchair. You may be glad of a flat lawn and driveway, too. Bear in mind, too, that aging friends and relatives may appreciate easy access when they visit. Sun City is a 55+ community with locations in Henderson (Sun City MacDonald Ranch and Sun City Anthem), North Las Vegas (Sun City Aliante), and Las Vegas (Sun City Summerlin). Single Stories are the theme and these are golf communities as well. Make sure your new home is within easy reach of shops, services, and amenities, in case travel becomes difficult for you. In a decade or so, you may be thankful to have a doctor around the corner and a dentist and hairdresser just a walk away, so look out for a property in a residential area, rather than out in the wilds. Ardiente is a popular 55+ community featuring the Ardiente Club which is a 20,000 s/f building offering a place for fitness, swimming, business, parties, games, dance classes, happy hours, tennis, basketball and more. Retirement is a great time for catching up with family members and old friends from the past. You’ll want to invite some of them to stay, so make sure your new home has a spare room. If you expect to have grandchildren coming to visit, you may need more than one extra room, and perhaps a play area for them, too, or a park close by where they can run around. Cadence is a 55+ community in Henderson, NV. It’s referred to as country club living offering all of the usual amenties such as fitness and swimming, but also offers an on site cafe, crafts studio, and even a ballroom!! Head outside and appreciate 450 acres of parks, trails, and bike paths. As you mature, you may appreciate having people around more frequently than you do now. If walking or driving becomes difficult, you can feel a little isolated unless you have friends nearby. When you find a suitable-looking property, take a look around the vicinity to get a feel of the atmosphere. Does it seem open and friendly enough to you? Check whether there are any clubs or societies you could join, and any pleasant coffee shops or restaurants for you. Those who live in Del Webb’s Solera at Stallion Mountain in Las Vegas, NV have access to a remarkable clubhouse that includes a gym, swimming pool, and game and hobby area. While keeping practicalities in mind, the feel of a property may be more important to you. If you find a house or apartment that meets all the right criteria but leaves you cold, don’t bother with it. Conversely, if you fall in love with a place, despite some practical drawbacks, keep it on your shortlist. If, after several viewings and careful consideration, it still draws you like no other, maybe you should go for it. Siena is a 55+ Community in Summerlin of Las Vegas, Nevada. It offers 667 acres of golf, Swimming, and recreation. It’s a guard gated neighborhood. Retirement may signify the further end of your life, but it also marks a brand new beginning. Free from work commitments, you’ll have time to try new ventures and fulfill long-held ambitions, so don’t let your new home hold you back. If you need to live in a particular area or property type to suit your plans, that may mean forgoing one or two of the features above, but should that stop you? Too much caution can be stifling, and a little risk can be inspiring. When you find your prospective new home, run through this checklist again to make quite sure it’s the one for you. You’ll want to check the property’s price and structure as well and weigh up all the pros and cons. Then, if you’re still happy, you can go confidently ahead with the purchase — and with your new life, too!